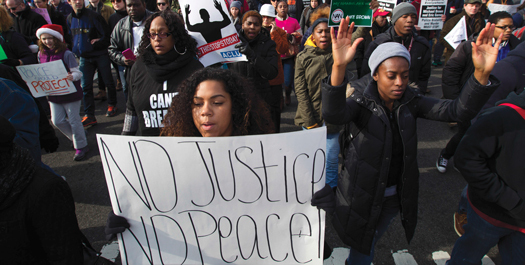 The recent protests in Washington, D.C., spearheaded by the Rev. Al Sharpton and his National Action Network, brought again to the surface the tension between mainstream civil rights leaders and Black youth determined to press forward for justice. Twitter offered a running narrative of the views and analysis of young Black people who have given the Rev. Sharpton and traditional leaders a bigger and more vibrant platform than they have likely had for at least 10 years. Look back at the annual commemorations of the 1963 March on Washington and similar marches and see the small crowds, despite big bucks from labor and other groups, that were not very spirited. In many instances the gatherings may have been well-intentioned but lacked a passion and a legitimate outrage over the targeting, mistreatment and murder of Black people—women, children and men. Many times those marches seemed stuck in a time warp and were more like class reunions for those who could remember their heyday and the protests of the civil rights movement. The gatherings too often seemed spirited and fruitless preaching to the choir. None of those gatherings truly captured national attention—even if mainstream media offered a platform for the leaders to be seen. These protests seemed to grow more and more symbolic and more and more disconnected from the masses of Black people and real struggle. A deep desire and demand for change was ignited by young Black women and men standing up against the armed, militaristic legions of police equipped with armaments donated by the Defense Dept. in Ferguson, Mo., following the killing of 18-year-old Mike Brown, an unarmed Black youth, by a White police officer. 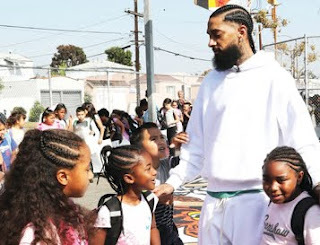 Fearless young people and their true allies—like activist Anthony Shahid, Nation of Islam member James Muhammad, longtime activist Zaki Baruti and others, alongside the so-called thugs with tattoos, the sister girls with everything from fly weaves to braids, and angry older parents who came out into the streets—faced off against the police. They were tear gassed. They failed to retreat. They were besieged with smoke bombs and rubber bullets. They didn’t flinch. They were beaten. They didn’t quit. Their anger, their disruption, their refusal to go quietly into the night touched a raw nerve and inspired others. Thousands around the country and countless others around the world have expressed solidarity with the Black struggle. Even during a conference in Algeria, an official from Mozambique told a member of a Black Press delegation: “What is going on bro? I can’t breathe.” He was reciting the last words of Eric Garner, choked to death by New York police officers on a Staten Island street. 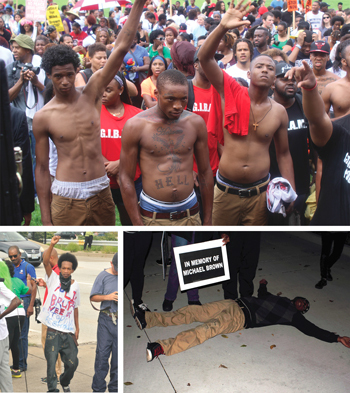 Since people had seen the Ferguson model and were already in the streets, the Garner killing added fuel to their fire. Non-profits and social justice groups that needed an infusion of energy and ground troops found a place where their facts, figures and research could have real meaning and use. Calls for justice and equality that had become primarily media events or media driven events were growing into a true mass movement. The traditional leaders should have been proud and embraced the children, sheltered them and uplifted them. Sadly that was largely not the case: Civil rights leaders often showed up in Ferguson and made calls from a playbook that has not been effective. They referred to the struggle of young people but didn’t recognize the young leaders. They didn’t embrace these young giants and warriors as a proud parent should and that was a failure. The same failure surfaced again during the Millions March in Washington, D.C., along with declarations that “the movement” didn’t start in Ferguson. That may be historically true, but the moment in Ferguson breathed life, money, focus and power into a moribund and aging movement. It put these leaders and their issues back on front street as the media, the president and the power structure tried to find someone to talk to, to explain and to control. But this is not the day of control, this is the days of fighting back and boldly declaring Black lives matter and there will be no business as usual. So the protests that started in Ferguson in August came to Wal-Mart and other unapproved spaces in the Nation’s Capitol in December. Young leaders and those who understand them and support them went off the approved routes and off script Dec. 13 because they are determined that there will not be business as usual. How can there be with a 12-year-old shot to death, his hysterical sister in handcuffs and his distraught mother trying to decipher what has befallen her babies? The rejection of young people and failure to fully embrace, respect and uplift them reflects Bible scripture and the elders among the children of Israel. A journey that could have taken 40 days took 40 years and the elders died in the wilderness. The elders did not see the Promised Land. This movement will not be stopped, nor deterred. It is on time and it is a blessing, but the old mindset and the old ways just won’t do in these times. 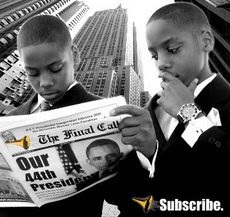 It is a shame that so many who claim leadership cannot see a blessing and fulfillment of desires coming through Black children. This is not the time for blind leadership, nor the time for those who wish to stay with Pharaoh. It is time for our Exodus and our children will help lead it. May Allah (SWT) be Pleased with him. (Click photo to learn more about Bro. Robert and to support his family). 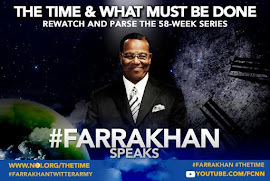 REPLAY this timely and powerful series. Click photo to view Black owned and produced hair and skin care products. 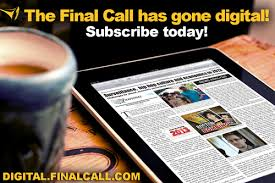 Read the Final Call Newspaper! 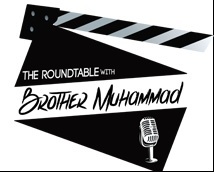 The Roundtable with Brother Muhammad (Audio Podcast). 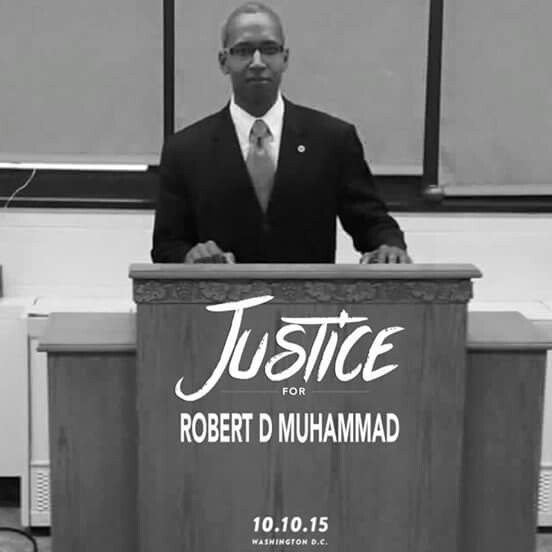 The Roundtable with Brother Muhammad interviews Mr. Dwayne Harris, President and C.E.O. of the Peoria, Illinois based "Intangible Mindz Agriculture Development LLC," on the subject of urban farming, the pooling of human and financial resources, and land ownership as an answer to the food deserts, unemployment, and preventable health concerns that plague far too many of America's Black communities. 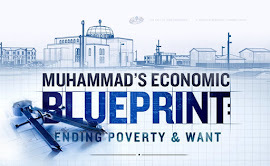 Discussing the practical application of The Honorable Elijah Muhammad's 'do-for-self' work ethic for self-help and productivity, Mr. Harris offers insights into his own program that follows this solutions based model.